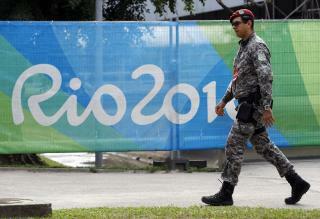 (Newser) – There may be more US spies than Zika-carrying mosquitoes in Rio over the next couple of weeks, per a "highly classified" intelligence report seen by NBC News. With the blessing of Brazil's government, some 1,000 espionage experts—about 350 of them onsite in Rio—are positioned and ready to protect the Olympics and its spectators. Although there's no known (or disclosed) plot against the sports competition, all 17 US intelligence agencies have taken on the task, in conjunction with their Brazilian counterparts, to "identify and disrupt potential threats," says a spokesman for National Intelligence Director James Clapper. The US force is said to include analysts and members of law enforcement, as well as more than a dozen special-ops commandos from the Navy and Marine Corps. So once again, U.S. taxpayers foot this bill for something that won't bring U.S. anything. Are these spy guys protecting the U.S. athletes or also the Russian, Chinese, etc. athletes at U.S. expense? Or is this just another way of trying to brag to the world that we can throw away money 'cause we have so much, like...hummmm, maybe Iraq. "[...] per a "highly classified" intelligence report seen by NBC News." And just why the f*ck was a "highly classified" seen by anyone outside the intended chain of delivery?